This linear route connects the place of Remédios to the village of Água do Pau, through ancient roads used by the watermen, taking the water to the parish of Lagoa. The trail crosses several resources connected to this line of activity such as old bridges, aqueducts, clay pipelines, levadas (watercourses) and some tunnels. To cross the tunnels, it is advisable the use of lanterns and before starting the trail be sure you are suitably equipped. Along the trail, it is necessary to pay special attention for the presence of animals that should not be disturbed. This linear route connects the village of Ribeira Chã to Água de Pau. 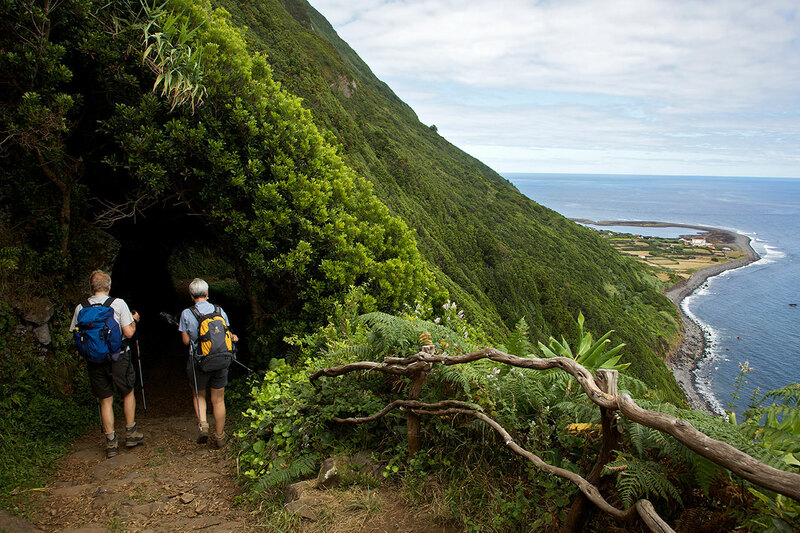 Begin the trail at the center of the locality, known for its museums, mainly the Sacred Art and Ethnographic, the Ethnographic Yard and Azorean Endemism as well as the Rural House of Maria dos Anjos Melo, where we can see all the history, culture and heritage of this place. Rich for its gastronomy, Ribeira Chã is known for its Italian Arum cereal flour porridge, a typical sweet of the village, done with the rhizome of the plant known on the island as Italian Arum (Arum italicum). This small circular route develops through the village of Água Retorta, near the protected area for the habitats and species management. Begin the trail near the church of Nossa Senhora da Penha de França, built between 1871 and 1885 taking advantage of the bell tower, a reminiscence of an old chapel from the 17th c. that existed here. Located on the North coast of the island, this route crosses the village of Santo António, known for its several water lines along the hill until the coastal area. In the past, the water lines were forward to several watermills known as Mills of Cruz or Rocha, nowadays used for public water supply. This small linear route crosses several places of great historical importance in the industrialization of the island, late 19th century - beginning of the 20th century, showing the starting of the production and distribution of electric energy through renewable sources, promoted by Eng. José Cordeiro (1867 – 1908). This linear route in Nordeste connects the villages of Achadinha to Salga, passing by places of enormous natural beauty and of great historical importance. Begin the trail near the Historical Standard of Alminhas, monument that signs the disembarking of the liberal forces coming from Terceira island, in August of 1831, in the context of the Portuguese Civil War (1828-1834). Follow the road towards the coast, passing by the Cultural House of João Melo and along the descending profit from the view over the shoreline. This walk begins near the church N. Sra. Do Rosário, situated in the middle of the village. Go round the left side and, about 300m, turn left by a land road, than turn right and go up the Hill of Moio de Baixo. 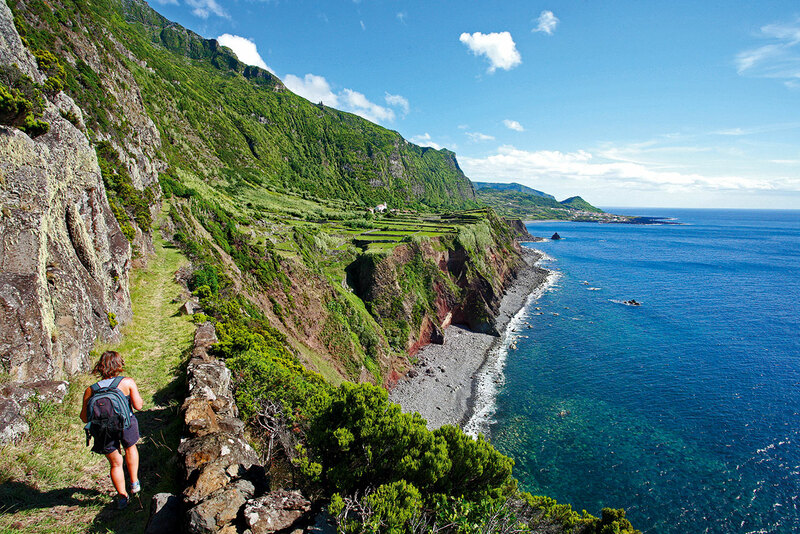 This small circular route begins in Largo de Santo António, in the village of Maia. Head South along a dirt road known as Pedra Queimada and follow the waymarks until you reach the regional road. 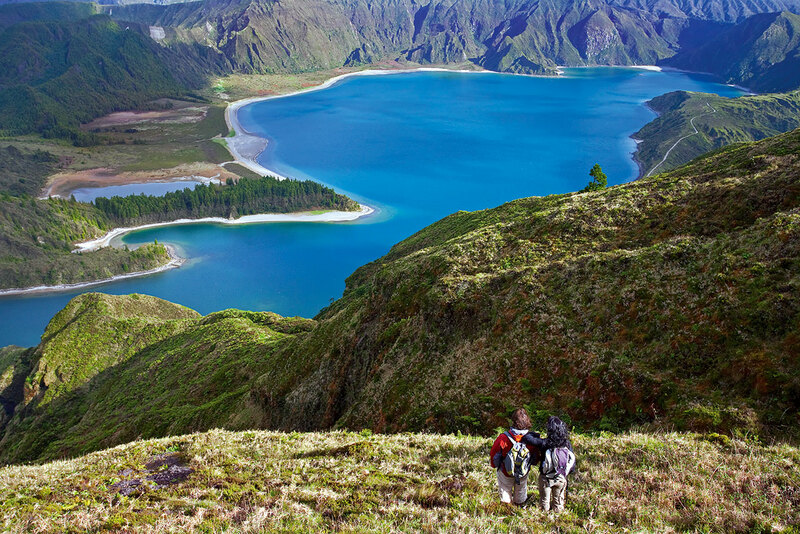 Continue by walking parallel to the road, enjoying the view over the North Coast, village of Maia, Ponta Formosa and Ponta do Cintrão. Proceed along the trail downwards by the Lajinha way, among agricultural fields (photo 3) until you reach the road again – Rua do Rosário – with the fountain Velha on your right (spring water). This circular route crosses several tunnels along its length, it is advisable the use of a lantern for its crossing. Before starting the trail, make sure you are suitable equipped.